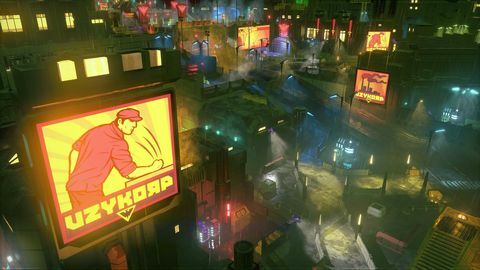 They say that life is cheap, but in the rain-soaked neon hell of Satellite Reign, they couldn’t be more wrong. Here death is cheap, but life? Life is expensive. It can be bought and sold. A commodity traded like any other, and for those elite few with money to burn, life never needs to end. 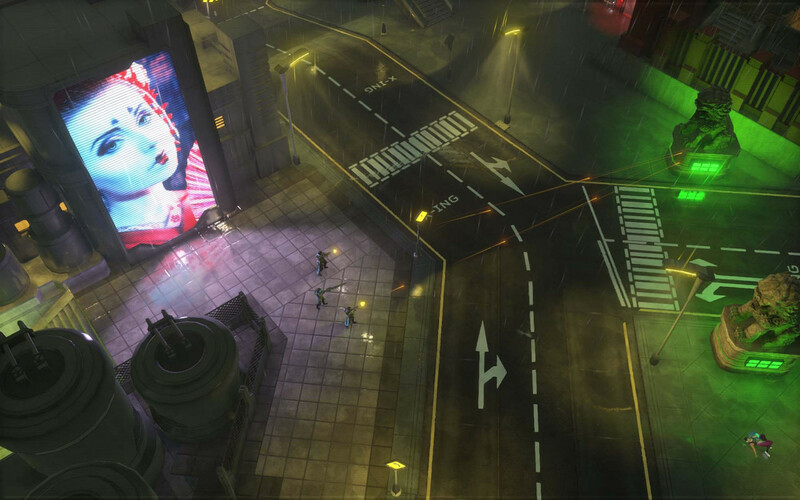 Satellite Reign borrows very heavily from many well-established cyberpunk tropes. Giant mega-corporations control almost every aspect of people’s lives. The rich are blessed with greater opportunity, and a lifestyle far beyond that of the dirty masses living in fluorescent illuminated squalor in the bowels of the city. With the ability to grant the very rich virtual immortality, these corporations only grow in power and influence. Until another player enters the fray in hopes of levelling the playing field, that is. The real question now is: for good or for ill? 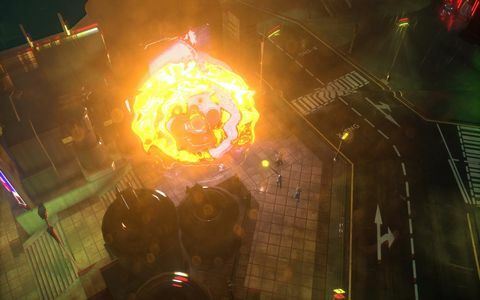 Satellite Reign is a real-time team-based strategy and tactics game. 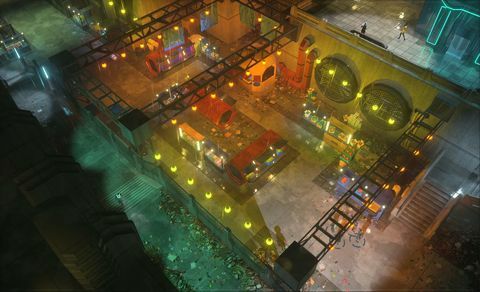 Anyone who is familiar with the classic Syndicate games will instantly feel at home here in the gaudy grease trap city wonderfully created by the team across the ditch at 5 Lives Studios. Much of the gameplay feels like a natural evolution from the systems in those earlier games, but Satellite Reign is not merely a nostalgia trip for gamers of a more advanced age. Here, you’ll find a game brimming with content and challenge, open-ended missions and a surprising amount of freedom, but it’s still a title that’s instantly accessible for new players. While the influence of Syndicate is obvious, Satellite Reign is a far more expansive and rewarding experience. There is nuance and a breadth that only really becomes apparent as you progress through its sprawling metropolis. Very early on, you unlock your core team of four agents. These resurrectable clones can be customised with specific weapon loadouts, gear, and skills that can literally and figuratively open doors and brand new paths to explore. You can, for instance, upgrade your hacker to bypass previously inaccessible gates or automated security. Or maybe you’ll beef up your soldier instead, who can then draw fire away from your team, while infusing her skin with nanobots that allow her to deflect bullets. Alternatively, you could put points into an agent’s Hijack skill, allowing you to control multiple citizens via their neural implants. The choices you make here will help shape the experience to follow. 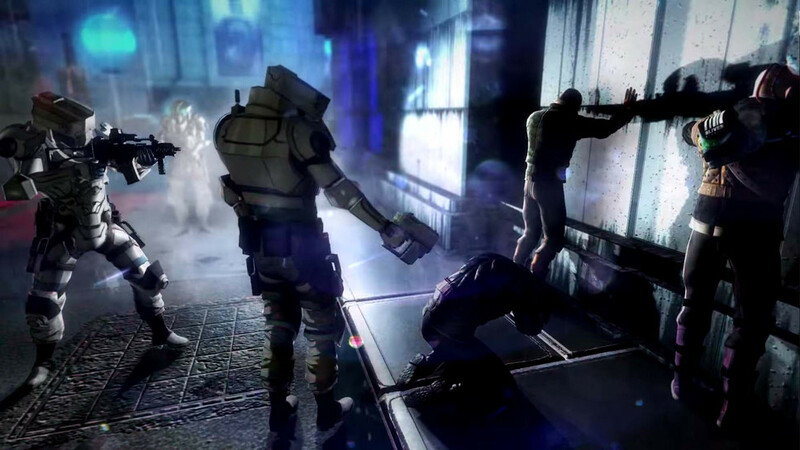 Do you focus on stealth and hacking, or do you use your upgrades in a more combat-centric manner? Perhaps you want to spread your skills and blur the lines between the classes to provide the greatest number of potential solutions, sacrificing some power in the process. All of the above are potentially viable choices, and on top of these skills are augmentations that can be applied to specific body parts to increase a variety of stats. Taking a far less-directed path than its forebears, Satellite Reign doesn’t demand that missions be completed in any particular order – or even at all – and as you progress, the path you take will have more than a few twists, turns, and deviations. 5 Lives Studios has surpassed its inspiration – a bona fide classic – in almost every respect. Like Syndicate, it all plays out in real time, with you controlling your team of four as a single unit, or individually as the need arises. As with any PC strategy game, combining hot keys with precise mouse control is the key to success. The only real issue is a UI that – while functional – can be a problem to click on due to the small size of some of the on-screen buttons. As a result, combat and stealth can get hectic when you need to direct your team at or away from multiple enemies, or when you’re swapping out weapons or finding cover. It’s very rewarding when you get it right, but the level of micromanagement required offers its own challenges and frustrations – not all of them intentional. Even so, with Satellite Reign, the team at 5 Lives Studios has surpassed its inspiration – a bona fide classic – in almost every respect. Its story unfolds organically as you discover correspondence and corporate reports (and occasionally forcefully extract insider knowledge from an initially unwilling source), its tonally perfect, and the flexibility of play styles on offer is to be applauded. What is perhaps the most satisfying aspect of the game is its emergent nature. How a mission plays out is completely dependent on how you approach it, and a single mistake may require a whole new strategy. Well done 5 Lives. This is truly impressive stuff, especially from a small indie team. Note: We encountered a multitude of bugs in Satellite Reign's Early Access build, but these look to be squashed now thanks to pre-release patches. Ups An evocative dystopian future. Freedom of play style. More customisation options than you can shake a stolen memory stick at. Downs Controls can be more than a little clunky.